Rajinikanth: Superstar Rajinikanth has been entertaining the audience with his performance and he achieved International fame for his performances and mannerisms. Most of his movies ended up as blockbusters and he has been awarded Padma Vibhushan, the highest honour from the Government of India. Anupam Kher: Bollywood actor Anupam Kher is known for his versatile acting and his contribution to Indian cinema cannot be replaced with anything. He has done over 500 films in his career and he has been awarded Padma Bhushan award for his contribution to Indian cinema. Udit Narayan: Playback singer Udit Narayan who hails from Nepal made up huge as a playback singer and he has sung songs in Bhojpuri, Nepali, Kannada, Marathi, Telugu, Malayalam, Tamil, Garhwali, Sindhi, Punjabi, Odia, Assamese, Manipuri, Maithili, Bengali and Hindi languages. The Indian government has now recognized his talent and awarded him with Padma Bhushan. Ajay Devgn: Talented actor Ajay Devgn emerged as one of the leadings actors in Bollywood only with his performance and he has been entertaining the audience for the past 25 years. For his excellence and contribution to Indian cinema, he has been honoured with Padma Shri during the Republic Day. Priyanka Chopra: Talented and dusky actress Priyanka Chopra took her time and she emerged as one of the leading actresses of Indian cinema. She impressed the audience and won National awards for her performance and Priyanka has now been awarded Padma Shri for which she has been completely delighted. SS Rajamouli: Versatile director Rajamouli has never tasted failure in his career as a director and all his movies ended up collecting huge money which made reach the National level. His recent outing Baahubali: The Beginning made him a star among the International circles and Rajamouli has been shocked after he has been announced Padma Shri award for his contribution to Indian cinema. 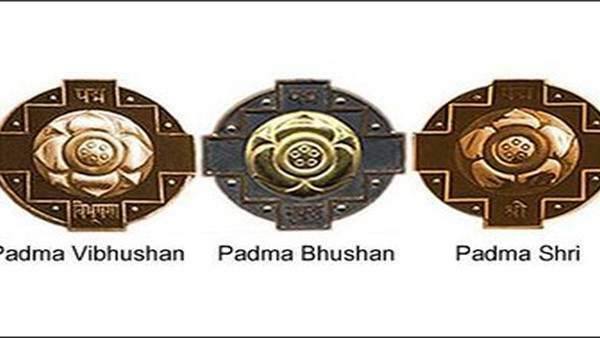 This was the complete list of Padma Awards 2016 Winners among the film industry celebs. Don’t forget to share it on social media and do share your thoughts on it.